The Institute of Leadership & Management (ILM) Level 5 Certificate in service improvement is a qualification that has been specially designed to give practising or aspiring middle-to-senior managers a solid foundation in their formal development in this role with regards to service improvement and lean production. Please note these qualifications are classroom-based VRQ Qualifications that are aimed at developing you as a manager. The Level 5 Certificate in Service Improvement is designed for experienced or new department heads and project leads or other middle managers in organisations adopting lean methodologies or looking for ways to improve performance and efficiency. Learners will learn to lead significant service improvements using lean methods. 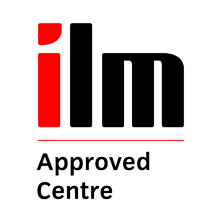 Successful learners have the opportunity to progress to a range of other qualifications including the ILM Level 5 Diploma in Management offered by BDM.